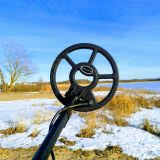 A fellow detectorist sent us a little review and diggers story, where he has been detecting with the Nokta Fors Relic. 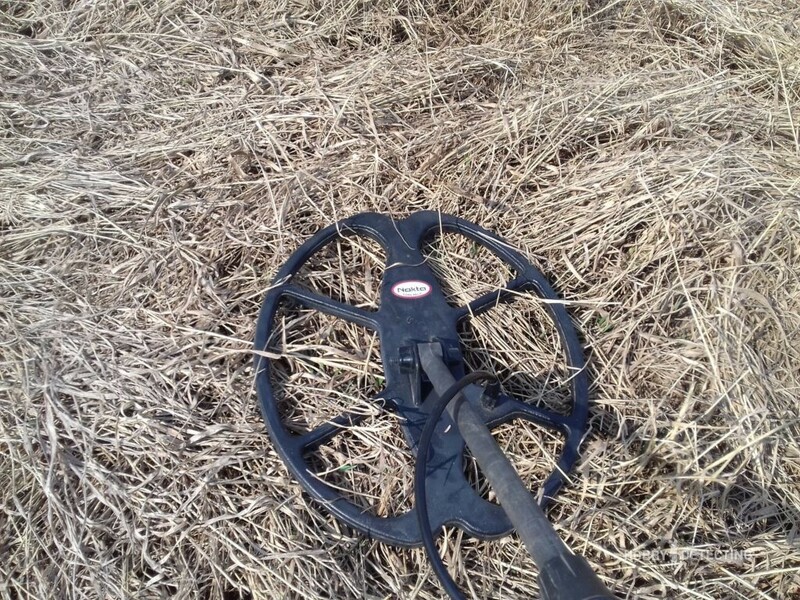 He shares his impressions of the detector and he also sent us some pictures of his finds. 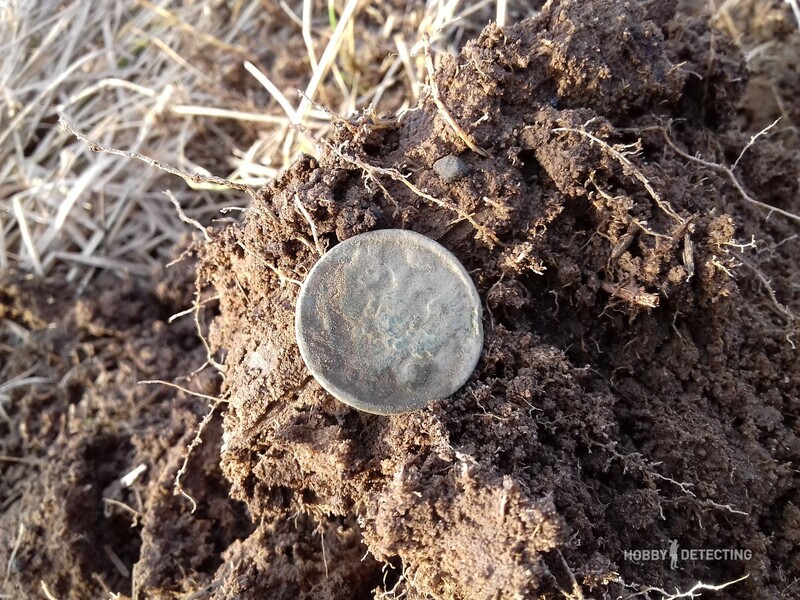 Once again I am convinced that the Nokta Fors Relic is an excellent detector. 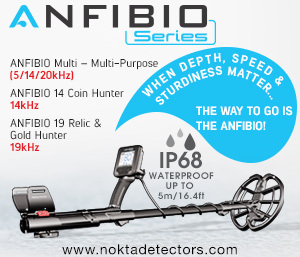 I remember how surprised I was when I found out that the company Nokta, which produces metal detectors, is located in Turkey. 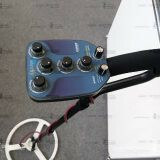 But my new metal detector Nokta established itself as a reliable and high-quality detector. 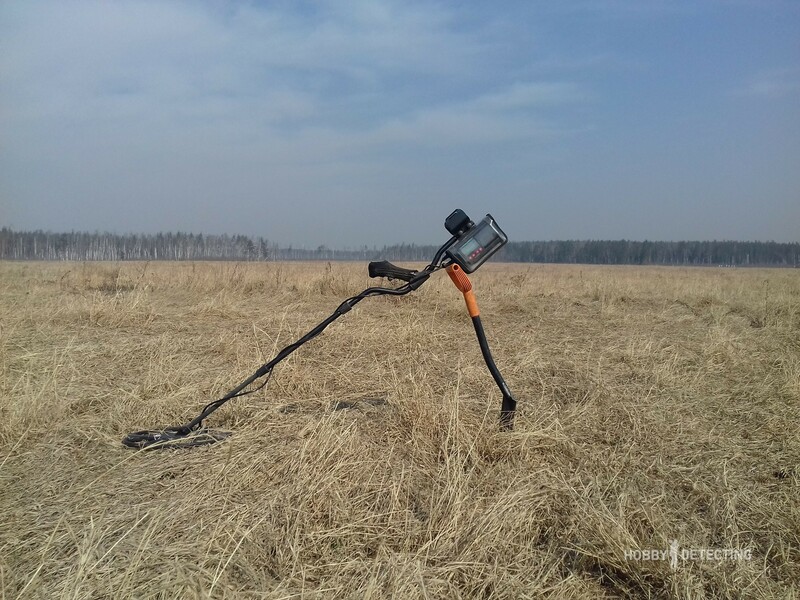 And now, when the snow in the middle zone of Russia finally has melted, exposing the surrounding fields, I went on a long-awaited detecting trip. This time I decided to try the DI3 mode, which cuts off unnecessary noise and false signals, but with a slight depth loss. Jumping a bit ahead I will say that I was satisfied with this mode. As soon as I got off the road and into the field, I heard a good signal. 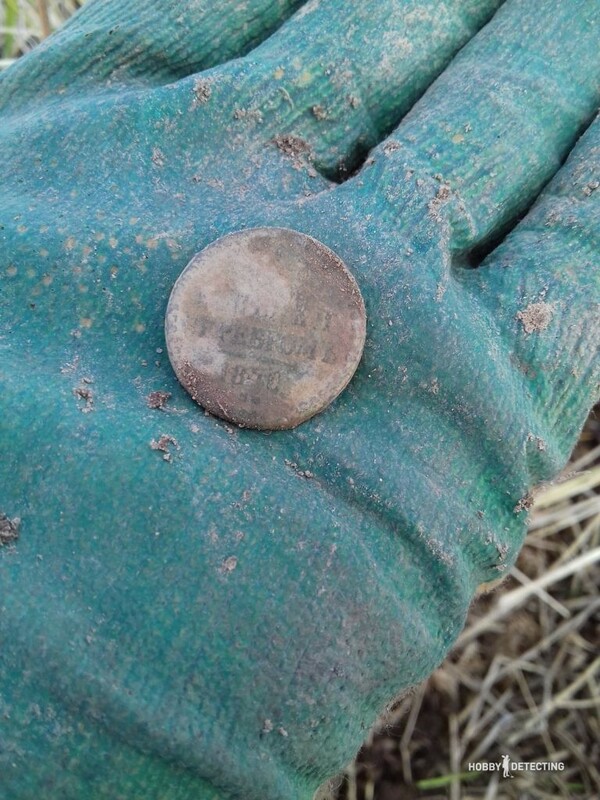 I plunged the shovel into the soft, supple soil, and immediately found an old button. These buttons used to sit on coats and other clothing. 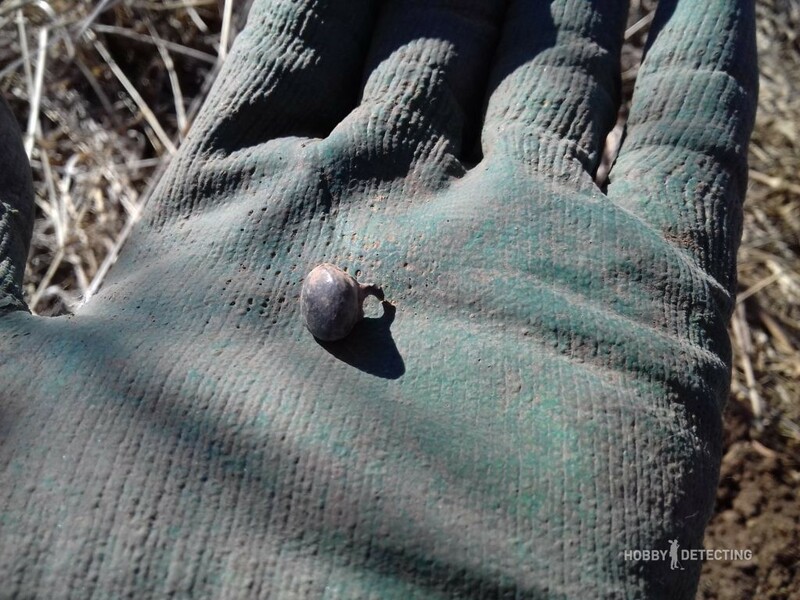 The button was simple, without a pattern and with a broken shank, but still, this was an object that had lain in the ground for more than one hundred years, and such finds are always pleasant to find. Encouraged by the first discovery, I went further into the field, but for a long time, I only came across garbage – bottle caps, foil, and other trash. 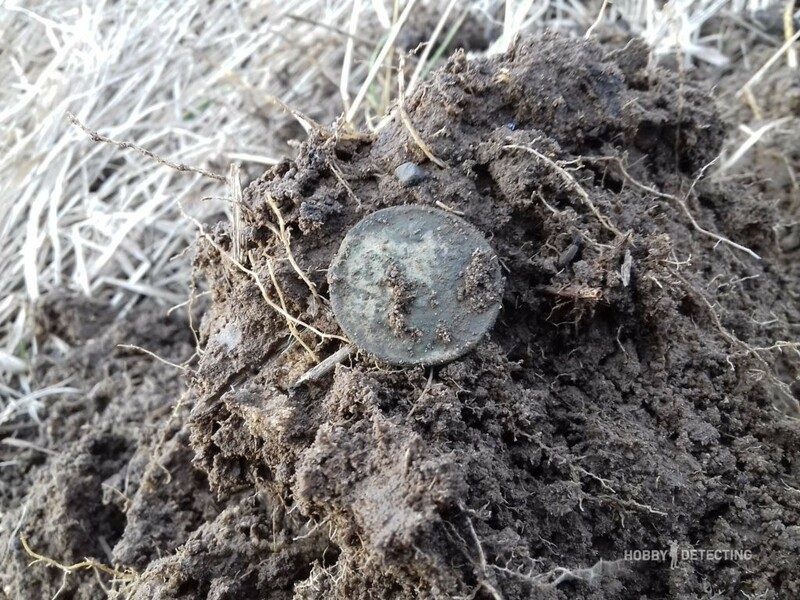 Finally, about an hour and a half later, a clear and sharp signal made it clear that there was something interesting in the ground, and it indeed was – a coin appeared to the surface – this was a Half-Kopeck with the monogram of Emperor Nicholas I. The coin, though shabby and with a modest face value, is still almost two centuries old. 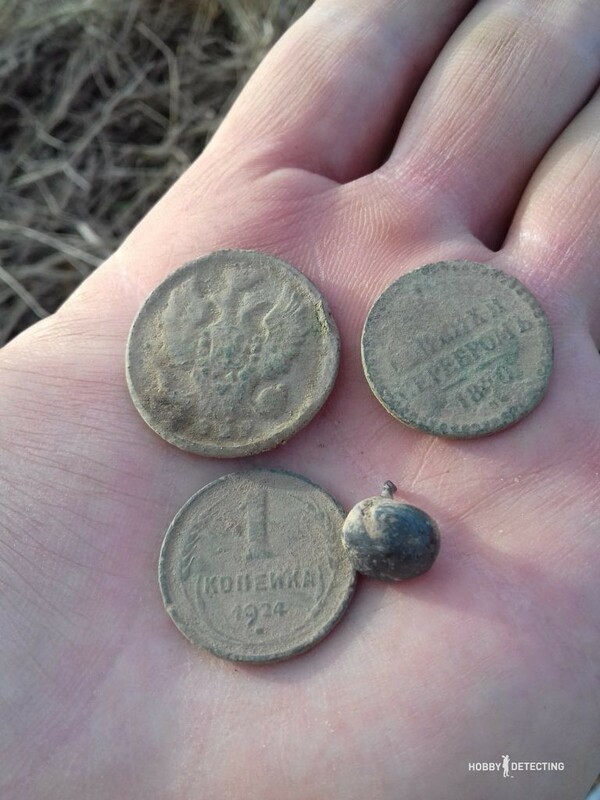 I searched all around, hoping to find other coins nearby, but I only found a bunch of bottle caps left by Soviet farmers about 30 years ago. 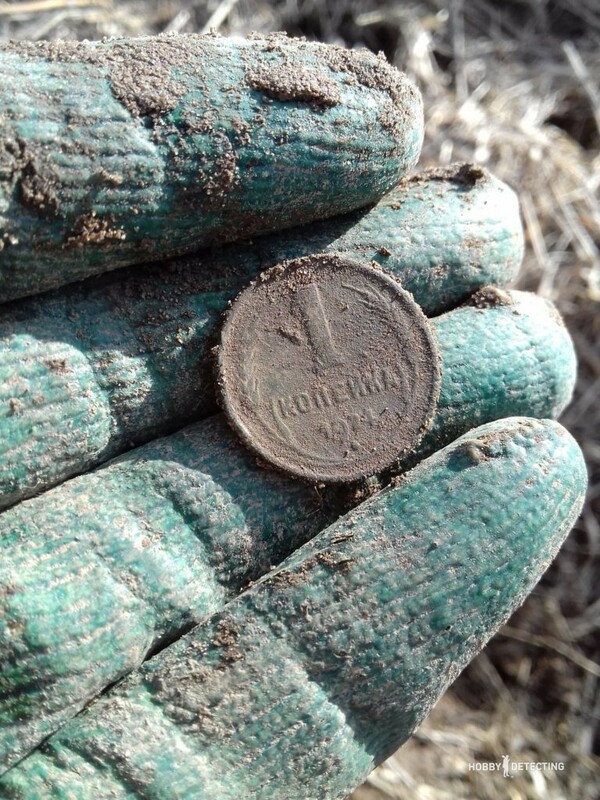 But I didn’t have to wait long for my next find, as I found a copper coin not too long after, this time it turned out to be an early Soviet coin – 1 Kopeck from 1924 in a good condition – the letters on the obverse formed a call to connect the proletarians of all countries. The coin immediately went into the finds bag. Reluctantly, the old field gave away its stash. Finally, it was time to return to the car. Several hours in the field flew by as fast as always, and I did not want to leave at all. 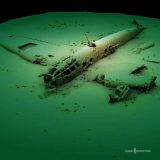 On the way back, I almost didn’t use the detector – the fatigue made itself felt. But I still decided to check one signal at last. And not in vain! My detector smelled the prey in the ground and gave a joyful signal. I removed the upper layer – the signal was deeper, and this is a good sign. 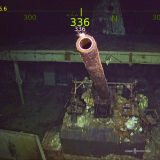 Another couple of movements later with the shovel and then I could see a round and green object appearing on the ground. One more coin! I rubbed the coin with my glove and the rays of the April sun shone down on the two-headed eagle, which spread its wings, and under it the date – 1829. A Kopeck from the Yekaterinburg mint in good condition was an excellent end to that day. 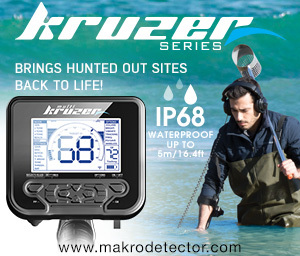 In general, the Nokta continues, as always, to please, I recommend this detector to everyone! And from the editorial board, we add that any professional detector is good if only the detectorist himself is not too lazy to dig signals! 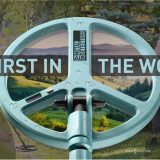 Good luck out detecting!